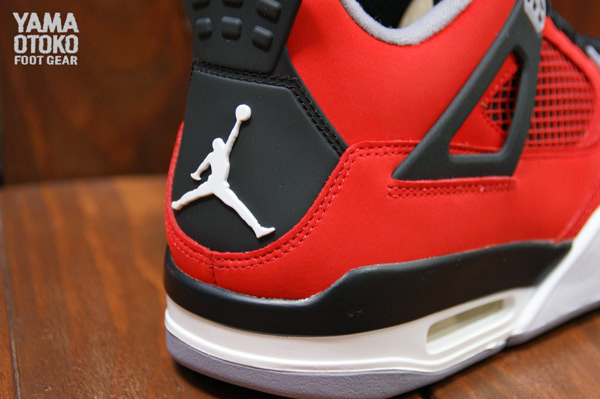 One of the most anticipated retro styles of the year from the Jordan Brand will finally be hitting retailers next month. 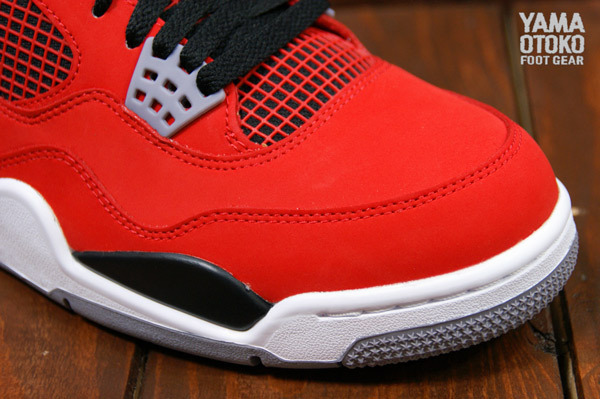 Heavily anticipated since the moment they were seen on Carmelo Anthony's feet last , the iconic Air Jordan 4 arrives covered entirely in JB's classic "Fire Red" hue. 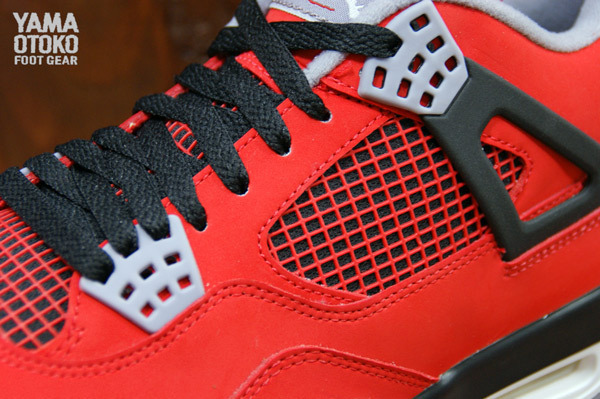 The clean look is topped with black laces and cement grey accents throughout, while a White/Black-Cement Grey Air Jordan IV tooling holds things down below. 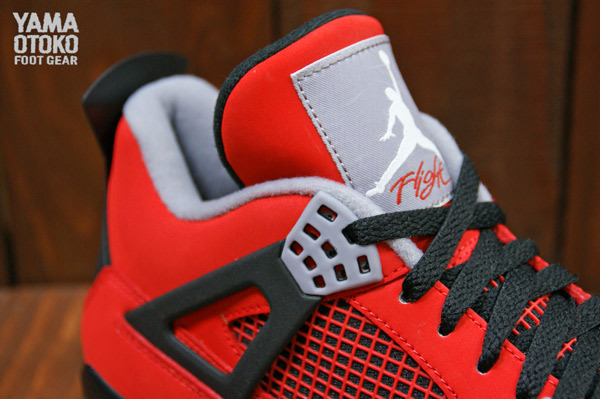 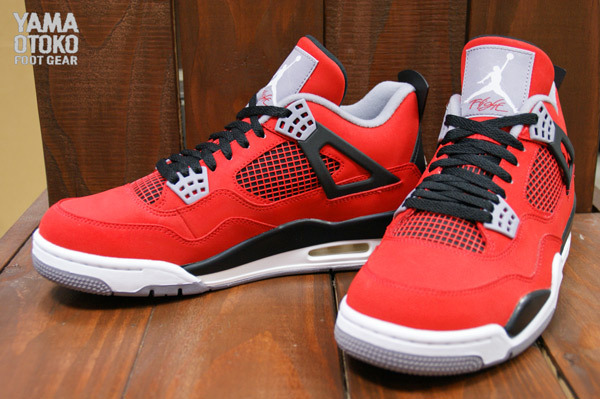 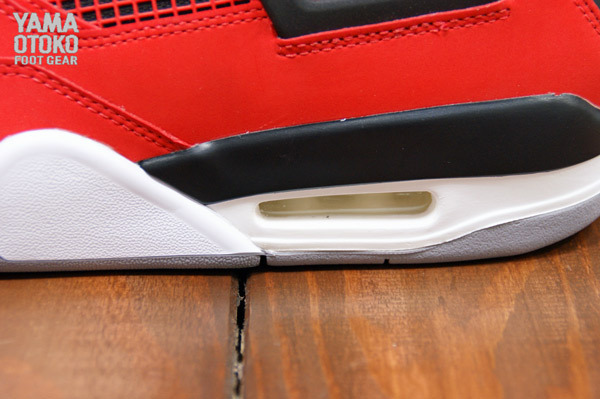 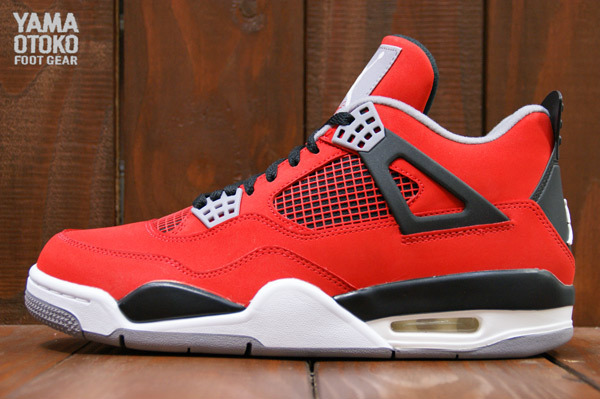 The "Fire Red" Air Jordan 4 Retro is set to hit Jordan Brand accounts nationwide on July 13th.